These six black and white photographs show a reception for Nancy Landon Kassebaum's induction to the United State Senate (1978-1997) in Topeka, Kansas. 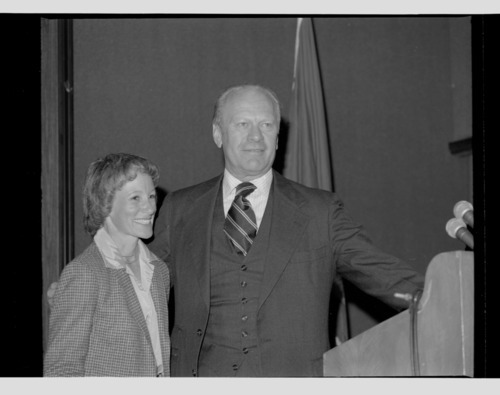 Kassebaum was the first elected female to the Senate. Notable individuals identified in the pictures is President Gerald Ford, Alfred M. Landon, Senator Bob Dole, and Kansas Governor Robert F. Bennett.